I have a timed 2.4k run in 3 days and although in past times tests I have done 3k in 15 minutes, I am not very consistent and worried I won't do well on the day. I want to put in some last minute training but don't want to over-do it and tire myself out. Do you think I should train tomorrow, or the day before my test? And how much should I run? Thanks for your question about the 2.4k Run. Normally, training sessions in the last week before a race should be of lower mileage than what you normally do, however earlier in the week you can still do some intensity work. E.g. when you would normally do a 45 minute speed session, in your race week you would probably do a 20 minute speed session. But you would not do that interval session 1 or 2 days before race day. In your last week the goal is to have fresh legs on race day, but not have stale legs because you haven't done anything. Therefore I like to do an easy 20-30 minute run in the last 2-3 days before race day. I normally don't do anything much longer or more intense those last few days. I am not sure about your normal training volume though. 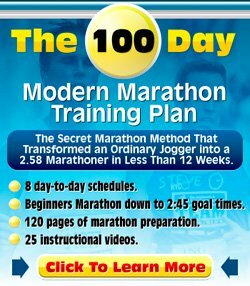 If 30 minutes is a long run for you, then I would not do a run that long, then bring it right down to 15-20 minutes only. Again, the goal is to have fresh legs on race day, so don't do anything that is going to wear you out.